Despite the fact that most commercial greetings cards contain a standard one liner, it’s nice to express exactly what you feel to someone special. Consider writing your own greeting card. You can purchase pre-made Christmas greeting cards which usually come with matching envelopes, and then attach a picture of your choice to the front of the card. Great choices are pictures of yourself and the recipient or a romantic snowy picture reminiscent of Christmas. All that’s left before writing the greeting is to choose whether to personally write it directly on to the card, or to type it on a computer and print it on paper to then cut to size, and attach to the inside of the Christmas greeting card. Lovers of Victoriana and old-time art will rejoice in this generous selection of 204 Christmas greetings. Reproduced from rare originals of the early 20th century, these colorful cards abound in ruddy-cheeked Santas, cherubic children, and watchful guardian angels. Their timeless holiday cheer will enhance any graphics project. A good beginning explains in short what the time of year means to you, for example something like "This time of year always reminds me of the things I love in life…" is a perfect beginning. Another important part of a Christmas greeting card is the middle of the 3 part greeting. This part of the personal greeting should include the things you dream about. These aren’t necessarily intimate things, they’re more about life. If you plan to be married, this is a good time to express your happiness about it. If you just want to express your love in terms of friendship, this is the place. An example of the middle part of a personal Christmas greeting to a loved one is "This Christmas, Santa can’t bring me anything I want more than to see you…." The Ending The end of a Christmas card greeting is the icing on the cake. Offering content and commitment with the way things are is probably the most sincere way to end a greeting, and will be the lasting thing the reader will remember. A good way to do this is to remind your friends of the things you love about them. May it be their smile, their laugh, their sense of humor or their looks, this is the best time to let them know. As with any other greeting card, Christmas cards are all about love, kindness and friendship. Writing your own personal greeting is a perfect way to display your feelings during the best season of year, Christmas! Consider decorating your card with glitter or colored ink, personalizing it in a way that seems appropriate to you. 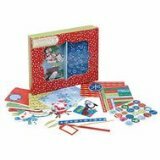 Christmas tree decorations and snowmen decorations are easy to find at craft stores, and easy to apply to homemade cards. Some may choose to place glitter all over the card, while others choose to do nothing more than draw a big red heart on the front of the card. Another idea is to create a Christmas photo card, where a photo is attached to the front or inside of the card, highlighting the feeling behind the greeting. In this collection you will find over 300 holiday postcard images to bring Sweden’s Christmas traditions to life. The charm, warmth, and beauty of a Swedish Christmas is captured in this remarkable collection of 300 colorful, fun, and historic postcards dating back to the 1800s. Each postcard reveals the magic behind Christmas, Scandinavian tradition and folklore. Here, the tomte/nisse meets Santa and children play with angels. 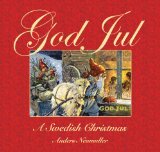 With traditional postcards from renowned artists such as Jenny Nystrom, Elsa Beeskow, and Aina Stenberg, accompanied by explanations of the cultural and historical past, God Jul will make everyone that is even a little bit Swedish homesick for an Old World Christmas.